We are proud to share our first WP2 deliverable on the “Definition of Use Cases, Requirements and KPIs”; now available for download [PDF] in our downloads section. This document describes the use cases identified in task T2.1 and specifies their respective requirements and Key Performance Indicators (KPIs) as defined in task T2.2. These use cases, requirements and KPIs will be the target for the developments within the other Work Packages (WPs) of the Project. The use cases are intentionally high-level and broad in nature with the specification of detailed technical requirements and KPIs being carried out in the technical Work Packages, specifically WP3, WP4 and WP5. 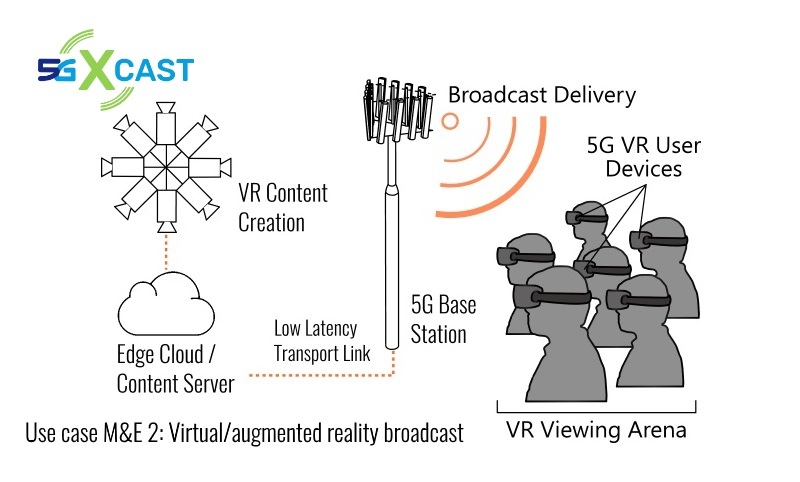 The requirements and KPIs will be used to benchmark both the state-of-the-art technologies as well as the new techniques developed within 5G-Xcast. 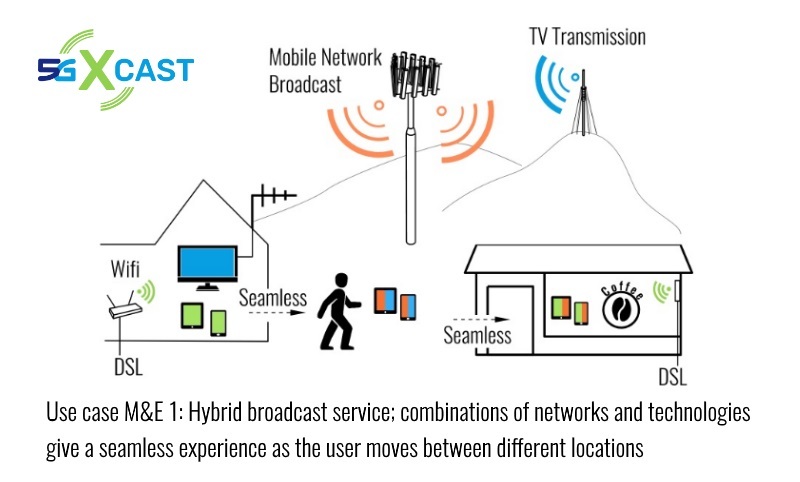 the convergence of mobile, fixed and terrestrial broadcast networks. In total, six high-level use cases are presented. 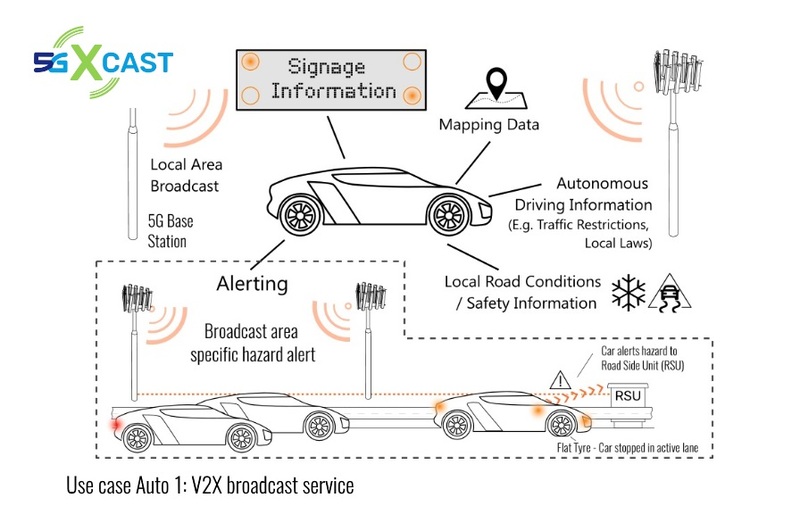 The use cases target four vertical sectors encompassing Media & Entertainment (M&E), Public Warning (PW), Automotive (Auto), and Internet of Things (IoT). While all considered use cases will be used for the definition of KPIs and requirements to be met by the 5G system developed within the project, only a subset of the use cases will be experimentally demonstrated. 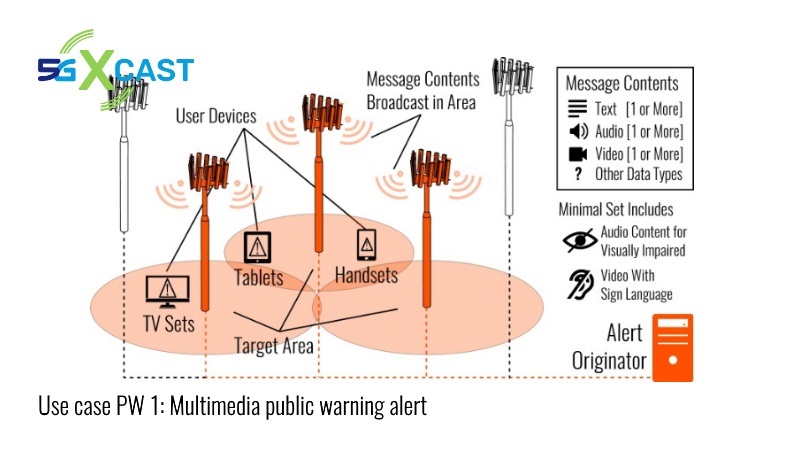 The demonstration use cases within the project come from the Media & Entertainment and Public Warning verticals. As well as describing the actual use cases, the document outlines the methodology developed within the Work Package for both the definition of the use cases themselves and their related requirements. Finally, discussion of wider issues relating to the use cases is also presented.